While others are preoccupied with cucumber sandwiches and railway cloakrooms, two minor characters from The Importance of Being Earnest are up to their necks in something else. 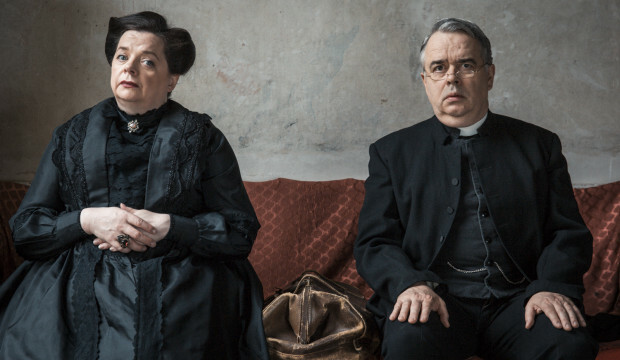 A country rector and a governess, models of Victorian propriety in public. But in private? This is the play behind the play: a tale of blackmail, false identity… and money. A subversively funny new take on an Irish theatrical classic. Please note that not all venues will be on sale yet – please keep checking their websites!